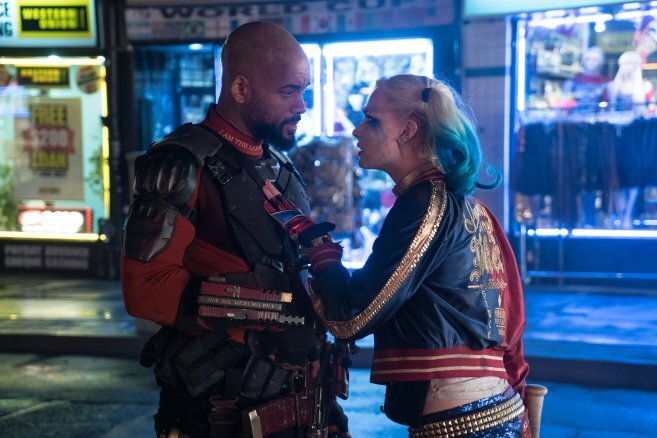 The thing about Suicide Squad is that it’s neither a good nor a bad film. Sadly, this is what Hollywood is doing a lot of these days, films that are neither here, nor there, they simply exist somewhere in the realm between good and bland. That being said, I had a decent time with Suicide Squad; it entertained even through its flaws. I was surprised to discover that it had moments of brilliance, few as they were yet was extremely dissapointed that a writer/director of David Ayer’s caliber delivered such an average film. But before we get into anything, I want to let you guys know that this review is coming from a true blue comic book fan, so I’m not one of those people who went into Suicide Squad already hating it. Actually I was truly looking forward to it. I even saw it opening day. 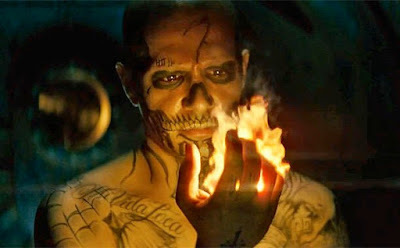 The main draw for me were all the cool possibilities the concept of villains as heroes had to offer, plus we had director David Ayer behind the cameras which gave me a lot of hope. 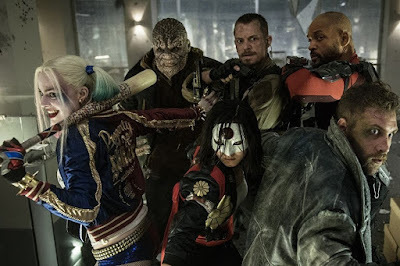 The result wasn’t as disastrous as some reviews make it sound, there’s some fun to be had with Suicide Squad. But I’m sure you’re wondering exactly what these pesky flaws everyone keeps talking about were, so let’s get down to it shall we? Suicide Squad is all about this top secret government project called “Task Force X” that unites a group of villains who are under the custody of the federal government (read: in jail) in order to have them do the governments dirty work. So as it turns out, these villains end up being the heroes, because an even more villainous witch called ‘The Enchantress’ is hell-bent on taking over the world. In order to achieve this, she brings to life her once dead, but equally powerful brother. The Suicide Squad’s supposed to stop this all powerful entity. Will they achieve their mission? Or will their collective insanity tear the group apart? If you have seen Ayer’s body of work, then you will know why I was a bit disappointed here. I mean, Harsh Times (2005)? An amazing picture! End of Watch (2012) and Sabotage (2014) were both highly watchable in my book. Let’s not forget that Mr. Ayer was a great writer before successfully transferring his talents to the directing department. Before becoming a successful film director, he wrote amazing scripts like Training Day (2001). So yes, I’m perplexed as to why Suicide Squad didn’t blow me away story wise. With Ayer at the helm, I was expecting more of an edge to this film. When the film starts, you are first lambasted with a ton of background stories for each character, which I thought was a mistake because what ends up happening is we get a bunch of fast forwarded versions of each characters origin story. Hollywood’s forgotten that mystery is one of the major elements of cinema, we don’t need to know every single little thing about every single character; especially not in an ensemble piece like this one. I mean, if we’re watching a solo Harley Quinn movie then fine, give me that full blown origin story. Otherwise it’s too much, too fast. As it is, you get these little snippets of everybody’s story squeezed into an already cluttered film. That’s problem number one. It’s The Joker and Harley Quinn that you want to see the most of. Sadly, the Joker isn’t on the film as much as you’d think he is. Don’t know what the general consensus on Jared Letos Joker is, but I do know that the decision to make him The Joker divided fans. Me? I was happy with the choice; I’ve always thought he was an underused actor. In my book he is one of the greats of his generation. His Joker is the first to feel like a real gangster, like a crime boss, a guy who’d dabble in selling drugs in a night club while screwing his hot psychiatrist, I mean, he wasn't so cartoony, he felt evil. 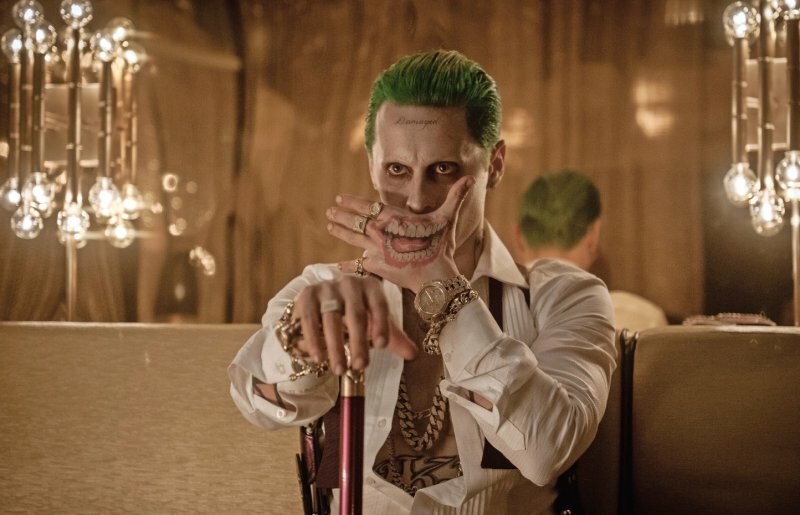 Each representation of the Joker has been special for different reasons, but I like where Leto is going with it. He wasn’t so much a comic book character, he felt closer to the kind of gangster you’d find on the streets, only with make up on his face; loved whenever Joker and Harley were on screen. That scene of Joker rescuing Harley Quinn while shooting a machine gun from a helicopter while laughing maniacally? Yes please! More of that! Where the DC cinematic universe is failing is in not giving equal importance to each character. Some are the stars of the show because they are played by the big stars, while characters like Killer Croc, Katana and Slipknot are treated like throwaways. That’s something that Marvel movies never do. Even the smallest, weirdest characters are given their moment to shine in a Marvel movie. While in DC, the weird characters are simply that, weird. Sometimes the way they are portrayed makes you wonder why they are even there. That boomerang throwing villain, why was he there? He does very little. Oh, he’s supposed to be the comic relief? He doesn’t do a good job of it either. Then there’s Slipknot a character introduced at the last minute, like that nameless character that comes along for the mission on an episode of Star Trek, the one you just know is going to bite the bullet. And so on. By comparison, in Marvel movies even Ant-Man gets epic! 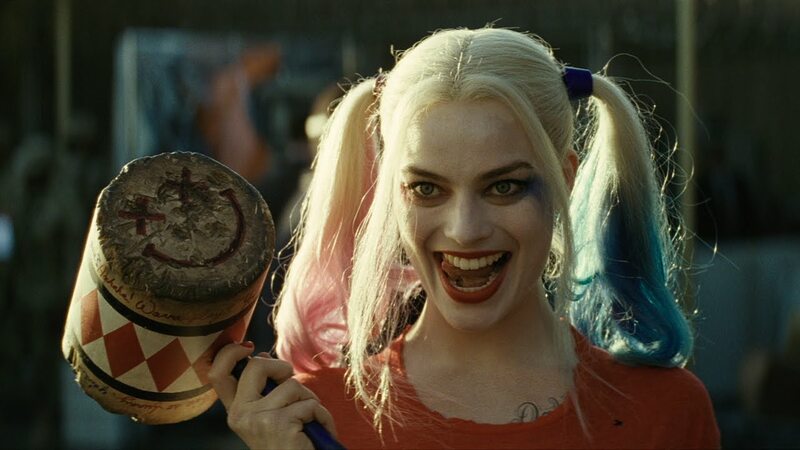 On the positive side of things the film does have its moments which for me dealt with Harley Quinn and The Joker, and let’s face it. These two characters are the main draw of the film; it’s why the kiddies are going to see it. You think they care about a Boomerang throwing dude? Nope, their butts are in those seats to see Joker and Harley fall madly in love. The visuals that come out of that origin story are some of the best the film has to offer. 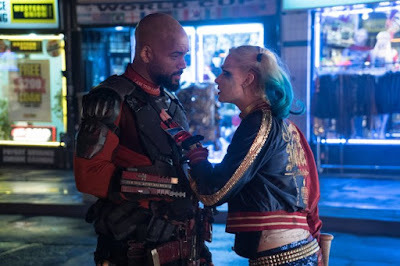 I would have preferred seeing a Joker/Harley Quinn solo film instead of this film, but whatever; maybe Warner Bros. will wise up and release it for next Valentine’s Day or something. 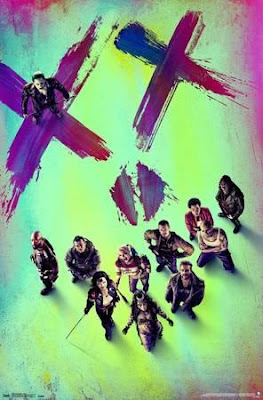 The squad goes up against powerful villains, almost too powerful for the Suicide Squad, but that’s what this film is all about, it’s less about super powers and more about the tricks these characters have up their sleeves. 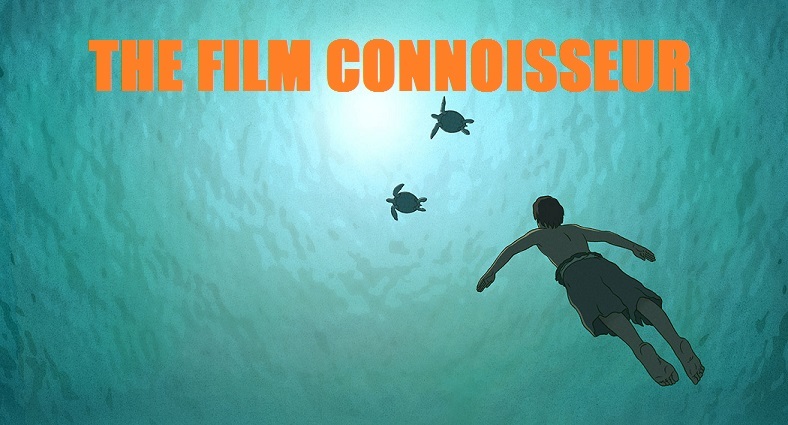 In the end, the film is told in a choppy manner. It’s messy story wise and doesn’t flow. Some scenes feel forced, so much so that you can practically detect where they squeezed in those re-shoots. Still, though troubled in certain areas, there’s fun to be had with Suicide Squad and thanks to Harley and The Joker, it’s a success at the box office, but I’m going to have to side with the general consensus on this one, DC needs to start making better movies instead of making mediocre ones.